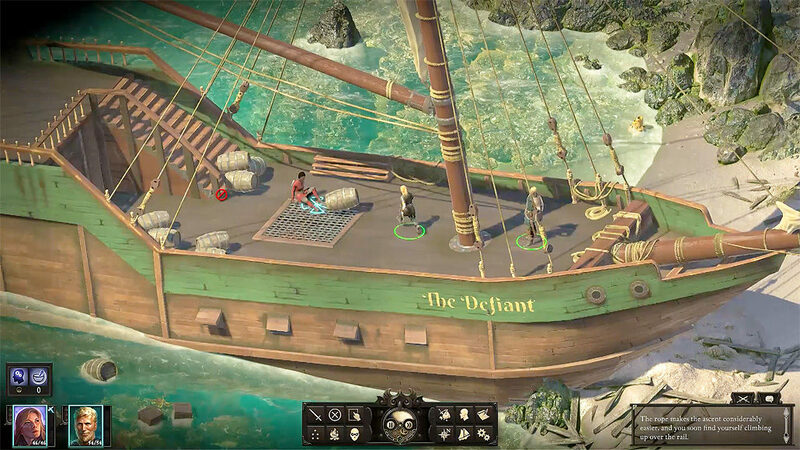 Obsidian Entertainment have firmly established themselves as stalwart keepers of the old-school computer RPG flame. Recent projects like Pillars of Eternity and Tyranny capably recreated the feel of classics like Baldur’s Gate and Icewind Dale, but you could argue they relied a little heavily on nostalgia. You can only get by on fuzzy memories for so long. 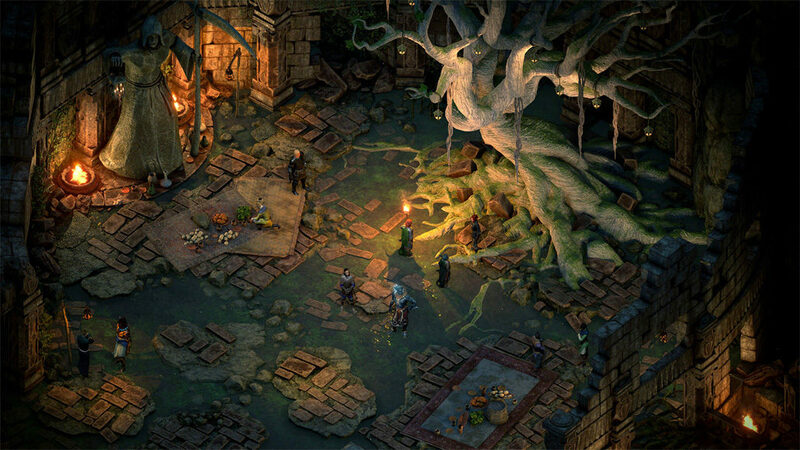 Pillars of Eternity II: Deadfire, the studio’s first sequel since going the fully-independent crowdfunded route, is their biggest challenge yet. Obsidian has proven the traditional CRPG can still attract an audience in the 2010s, but can they push the form to the next level? Does Pillars of Eternity II keep the fledgling franchise afloat, or sink under the weight of expectations? 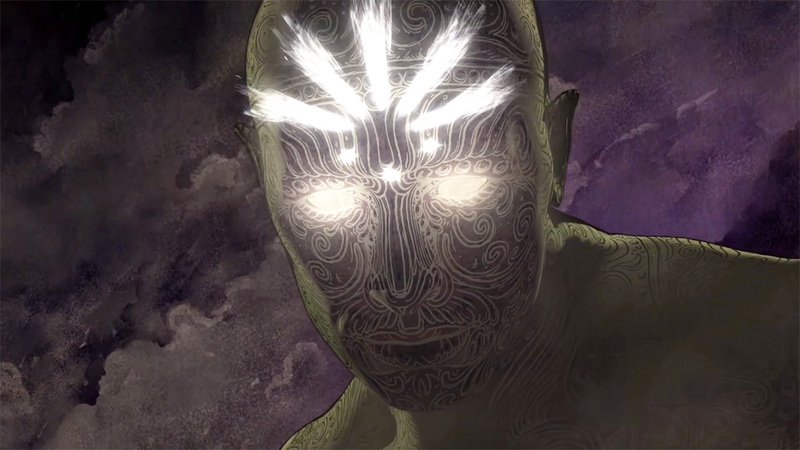 Warning: This review contains minor spoilers for the original Pillars of Eternity. Pillars of Eternity II: Deadfire is a direct sequel, which once again casts you as the Watcher, a mysterious traveler with the ability to talk to dead people. On a previous episode, we discovered why the children of the Dyrwood were being born without souls, exposed the gods’ dirty secrets, and ended up lord of a pretty nice (albeit cursed) castle. Unfortunately, Pillars of Eternity II opens with the 500-foot-tall “dead god” Eothas bursting from the ground, destroying your castle, and stomping you to death. Uh, Game Over? Not so fast — the god of death and rebirth, Berath, brings you back to life on the condition that you follow Eothas, who’s stomping in the direction of the tropical Deadfire Archipelago, and suss out what he’s up to. Oh, also, Eothas took off with a chunk of your soul, so you’ve got a bit of extra motivation to track down the inconsiderate castle wrecker. It’s a rather abrupt setup, but it achieves the goal of shuffling you off to a new world without a lot of dilly-dallying. Pillars of Eternity II’s plot remains relatively straightforward for much of its running time, but the underlying writing – the dialogue, characterizations, and world building – is uniformly fantastic. This is the rare RPG that can stack up favorably against a good fantasy novel. The original Pillars was also well-written, if a bit dry at times, but Pillars II is considerably more vibrant and inviting. 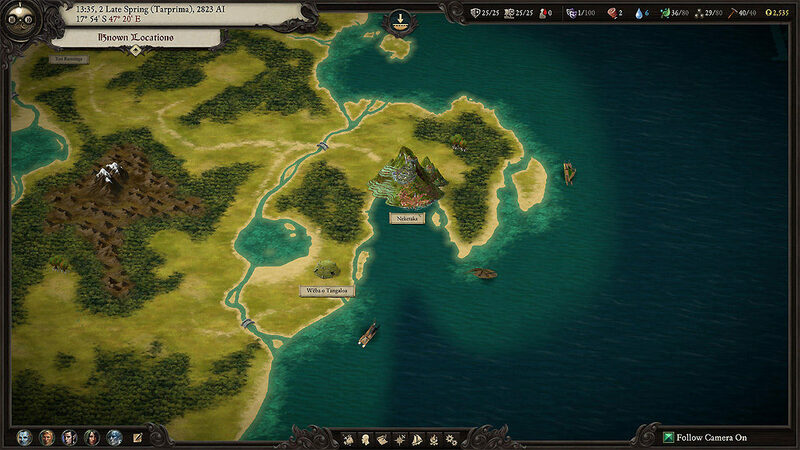 The Deadfire Archipelago is a bustling, vital world, packed with interesting characters, competing factions, and a whole lot of strange sights to see. This vivid watery world is brought to life by Pillars of Eternity II’s richly detailed visuals. Sure, the game won’t blow anyone away on a technical level, but hey, there’s a good chance you can run the game on your middling laptop. The game’s score is typical pirate-tinged fantasy stuff, but the voice acting, which has been significantly expanded this time around, is top-notch stuff. Full of verve and good humor. 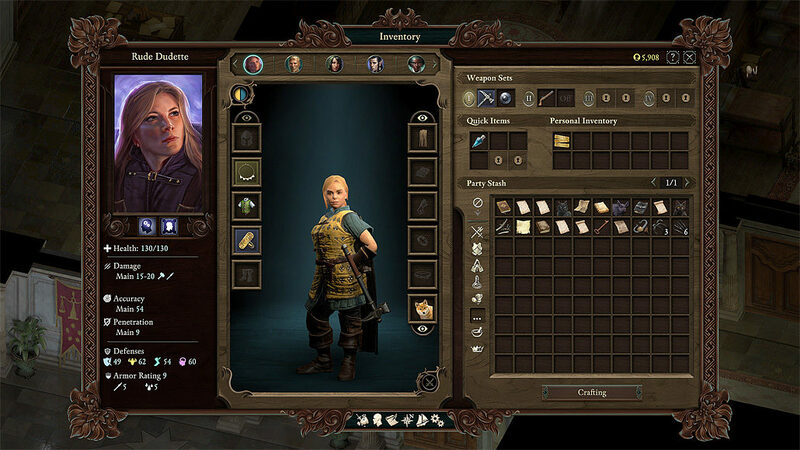 Pillars of Eternity II lets you import your Watcher’s key decisions from the first game, or start from scratch. Since you’re reset to level 1 either way, I decided to roll a new character. While Pillars II sticks to the same 11 classes as the first game, it adds a voluminous variety of new subclasses and the ability to create multiclass characters. In addition to that, you have to decide your race, birthplace, weapon proficiencies, attributes, and skills. The possibilities are slightly mindboggling. Personally, I opted for a sassy mountain dwarf Fighter-Priest (Cleric). I also decided to make myself a religious follower of Eothas, which gave the story an interesting extra dimension. Unlike most RPGs, all this intricate character building doesn’t just matter in battle. It really feels like you’re crafting a unique, breathing individual and you’ll be able to tackle obstacles and conversations in different ways depending on your attributes, skills, and other traits. Will you lie your way out of a tricky situation using your bluff skills, expose your adversary’s true motivations with your keen insight, or decide, “to hell with it,” and slice them into chunks with your sword? It’s up to you. Everything about your character will come into play at some point or another – my dwarven character attracted her share of unkind comments about her stature, which I could choose to be offended by or not (I usually let it fly, although I did kneecap a few particularly obnoxious heightists). Leveling up characters can be a bit intimidating – the level cap has been boosted from 12 to 20 and some classes, like Wizards, literally have over 100 upgrade options available. Don’t worry though, your build doesn’t have to be perfect. The other party members you’ll meet along the way are a fairly well-balanced lot that can compensate for any deficiencies in your character, and if you go seriously awry, you can respec anybody in your party for a modest price. Experimentation is definitely encouraged. Unlike its predecessor, which took a while to get going, Pillars of Eternity II opens its wild seas to you early. Things really get crazy once you reach Neketaka, a multi-tiered metropolis that’s even bigger than the sprawling Defiance Bay from the original Pillars. Neketaka is where all the Deadfire’s competing forces meet and clash, with many of the city’s quests overlapping and intertwining in satisfying ways. This one city alone is a knot that could take you over a dozen hours to unravel. Pillars of Eternity II does a commendable job of ensuring its quests don’t feel like busy work. Whether you’re hunting pirates, chasing down debts at the local brothel, or delving deep into fetid, horror-infested catacombs, almost every story you encounter is unique, satisfying, and surprising. That’s a good thing because there’s no skipping the “side stuff” in Pillars II. You get small amounts of XP from discovering new areas and expanding your bestiary, but the vast majority of it comes from completing quests. A few of these quests do require some running around, or should I say, sailing around, but that’s okay as Pillars II gives you your own ship. This vessel needs a crew, and they have to be supplied with food, drink, medical supplies, cannon balls, and other buccaneering essentials. Taking care of your ship is fairly simple, but it’s more engaging than the stronghold management from the first Pillars (which it essentially replaces). Occasionally, you’ll have to engage in some ship-to-ship combat, which plays out a bit like a (very) old-school adventure game – you enter commands, and the results relayed via text and simple still images. 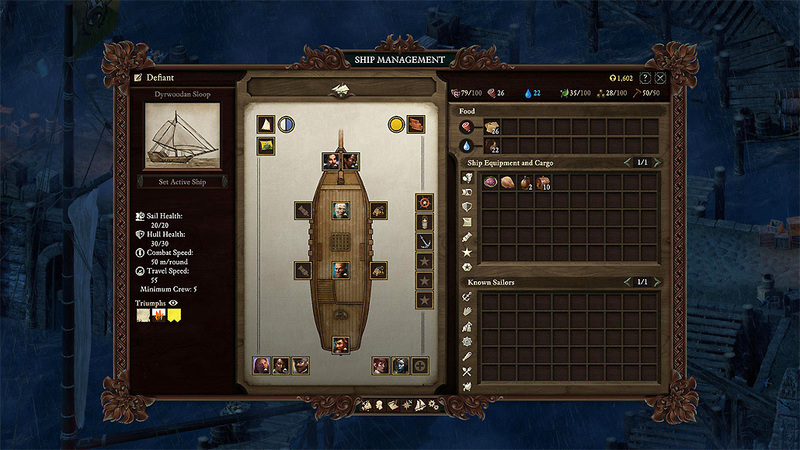 It’s more fun than it sounds, but ship combat is the one part of Pillars II that starts to get old after a while. It just feels somewhat underdeveloped compared to the rest of the game. Of course, all this exploring and questing will sometimes land you in a spot of trouble. Pillars of Eternity’s Infinity-Engine-inspired combat is simultaneously simple and perilously deep. Battles proceed in real time, and attacks are executed by left-clicking on enemies. Easy-peasy, in theory, but your characters will eventually earn dozens abilities, and the bad guys aren’t going to give you any time to plan your next move. Mercifully, you can pause the action at any time with a push of the spacebar. Early on, you can mob most monsters without much trouble, but as the game progresses and enemies get tougher and more plentiful, you’ll find yourself hammering the spacebar almost constantly. Obsidian has tweaked combat a bit this time around. Party AI has been improved in general, and you can further customize it, which means you can leave your allies to their own devices more often. You can also alter the speed of battles – rather than doing the real-time-with-pausing thing, you set battles to play out in Matrix-like slow motion. Your party limit has also been reduced from six to five, which cuts down on the chaos a tad. All that said, this still isn’t the most elegant system. Characters, life bars, and other crucial information often gets lost in the scrum, and sometimes winning or losing a battle feels a bit arbitrary. Thankfully, combat isn’t really the focus of Pillars of Eternity II. You can change the game’s difficulty whenever you want, many big battles can be avoided with the right dialogue choices, and there’s even a simple stealth system that allow you to sneak past most baddies. If you’re into the combat, there’s certainly a lot to delve into here, but it’s clear the makers of Pillars II don’t want to force the issue. And, rest assured, Pillars of Eternity II provides plenty to keep your hero busy. If you really keep your eye on the prize/giant lumbering god, you can plow through Pillars II in around 35 hours, but those who really embrace the world will take twice that long (or more). Replays are also strongly encouraged – the new Berath’s Blessings mechanic is essentially a form of New Game+, awarding you bonuses for your next playthrough for completing certain achievements. This is one tropical vacation you won’t want to end. This review was based on a PC copy of Pillars of Eternity II: Deadfire provided by publisher Versus Evil. You can purchase the game at a slight discount via Fanatical. Pillars of Eternity II: Deadfire is an exceptional roleplaying experience that truly lets you forge your own path in a rich, multilayered, grog-soaked world. Occasionally the game is just a touch too retro for its own good, but, for the most part, Pillars of Eternity II proves Obsidian has set the right course. It’s clear sailing ahead for the classic computer RPG. Is there such thing as a bad pirate game?